Is war a thing to be forgotten? That's what Annie's mother would like to do. She wants to forget the pain and heartache- and to keep it away from Annie, too. But Annie cannot forget the death of her favorite uncle, who was killed in France. 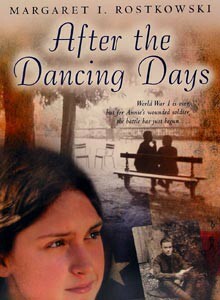 She cannot forget Andrew, the angry young veteran she meets at the hospital where her father works. Can Annie find the courage to help Andrew? And will she ever be able to make sense of a war that took so much from so many? Written by Margaret I. Rostkowski. Softcover. 217 pages.